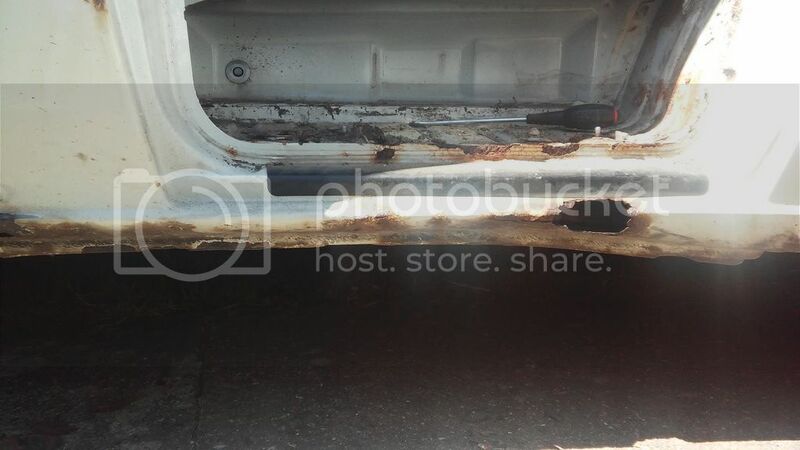 Ford Transit Forum • View topic - Newbie Rust Rescue. mk6 swb. Newbie Rust Rescue. mk6 swb. Well thought I might share this. Story so far was that I had been on the hunt for a bigger van than my trusty connect. Needed 3 front seats so i could get the kids in. 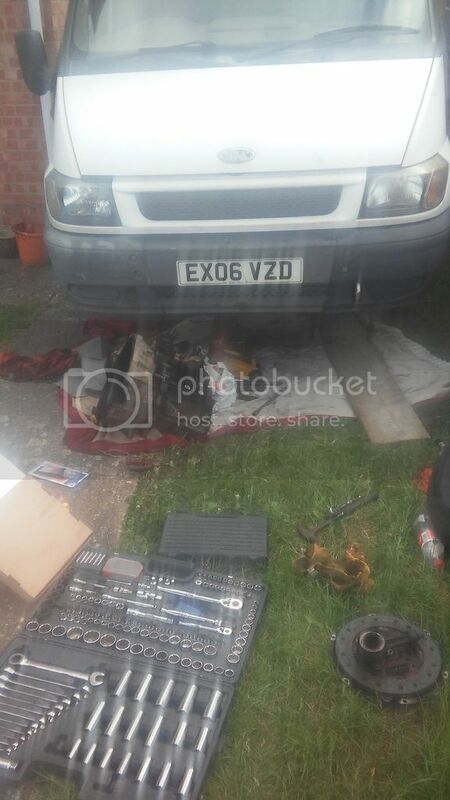 After a few weeks i found a slightly tatty 03 plate van with a few months mot. Happy days, my connect sold and i went about my business loving the transit-ness of life. It did eveything i wanted it to and was on the button. Fast forward a few months and I realized that i would need a few bits doing for the mot, nothing major, some tyres, a seat belt, anti roll bar bushes, front brake pads patch or two of welding etc. A mate told me there was another transit the same as mine for sale locally but the clutch had gone. It was an 06 swb tddi with a long mot and looked tidy. It was for sale very cheap in fact scrap money and the seller just wanted it gone. Couldnt turn it down really almost every panel straight, had its own original arches front and back, four brand new tyres, 97k on the clock with masses of service history. Spares van?? No it had a clutch in it by lunch time the next day. Anyway I was very pleased with myself at this point. I was rolling around in a nicer looking van that cost me a quater of what my other van had cost. I had big plans after seeing some of the awesome vans on this forum. I started with a wash and polish outside in the street. This is where it all started. Bit of a blister on that sill I thought. Couldnt help myself had to poke it. Wish I hadnt. Anyway a pic of the clutch swap in the sisters garden. And the start of all this. "The mighty rust scab"
Pokey pokey. Couldnt resist, scabs are for picking right? 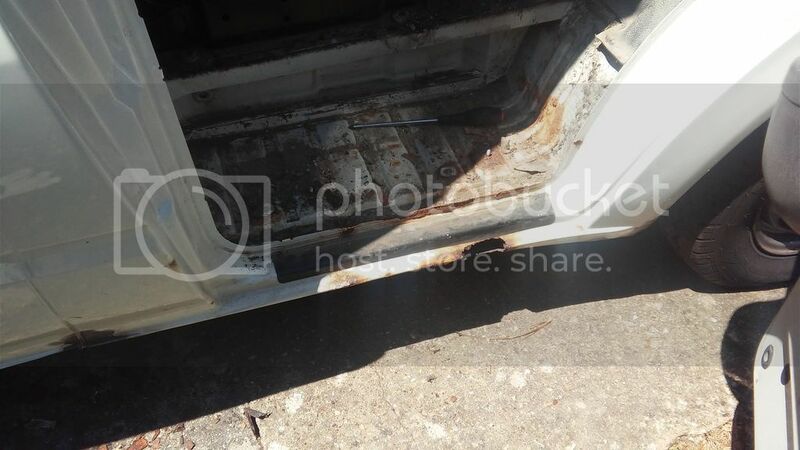 Well the picking and poking continued for a bit and i realized that there was a good chance i would need a sill under the drivers door, no biggie i thought so i ordered one from central panels. Nice galvanised one that was an excellent fit. 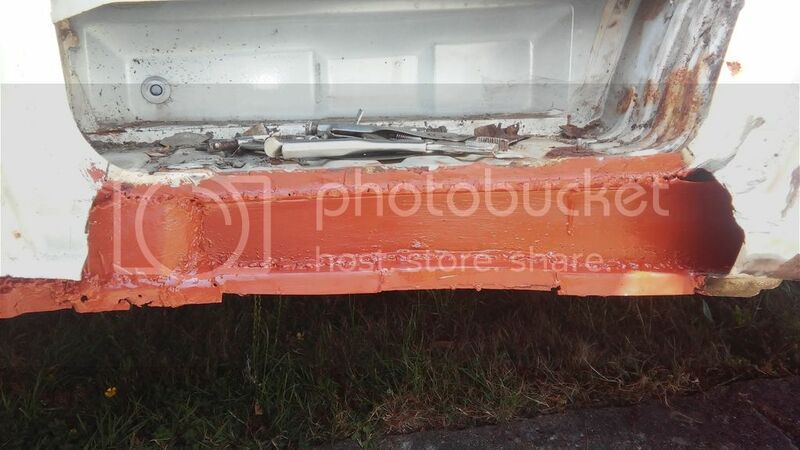 Well i ended up buying a sill for the rest of the side of the van and the other side as well. The problem was the more i prodded and poked the more fell off. How the hell this had an mot I dont know. Well im into it now i thought. Had a good read of some of the projects on here grew a pair and bought a second hand welder. Whats the worst that can happen? Took a brave pill and grabbed the grinder and started cutting. and found rust which seems to be a running theme with this van. Sill cut off to find no inner sill just wet cornflakes. As the inner sill was non existant i decided a visit to the fabricators was needed for some sheet steel. 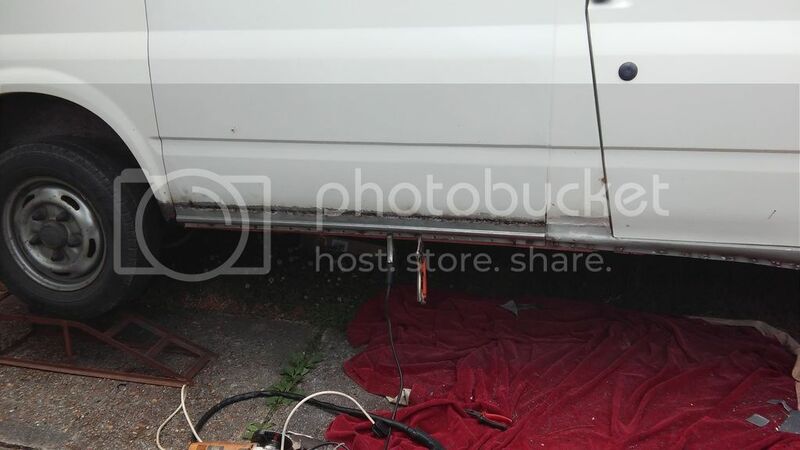 Its amazing how many cool people you meet when you tell them you are welding up a transit. I dont know if its sympathy or not but I ended up with a nice pile of fresh steel for a donation to the rspca. He said he has plenty more of his off cuts should i need them with a knowing grin. . Being a welder and fabricator he knew way more than he was letting on. So i started with the cutting and giving the whole job an appraisal to see what I needed to achieve. 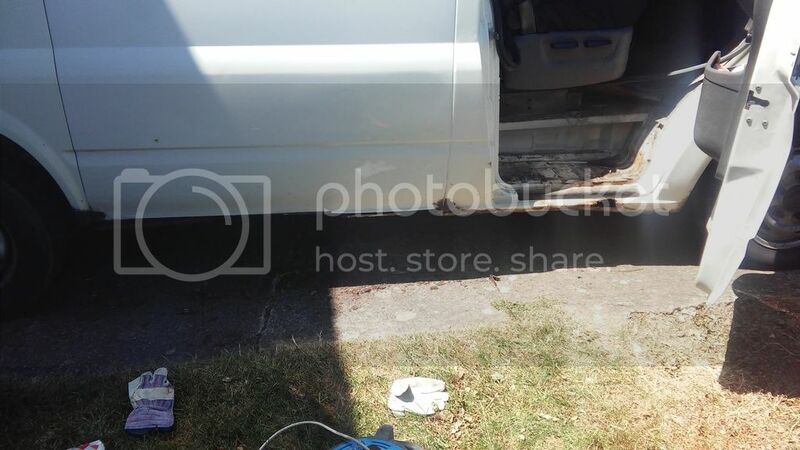 As said before the inner sill was gone 2-3 inches up and the bottom fell off with the outer all along the van. I further trimmed this till i got to solid steel and then ran a knot wheel in the grinder all over to remove the surface rust back to shiney metal. Next up I pinned and clamped the new steel i had into place and got busy with the sparky machine. Buzz buzz. Well not quite. It has taken me a good while to nearly get the hang of the welding process. I know that you cant weld to rust. I am getting there i think. Everything ive welded so far has either passed or failed my pick pull impact test. If i cant pick it off pull it off or hit it off its a goer. If not it comes back off and start again. My grinder is my friend. As I work my way through this I would appreciate any imput, help, advice or just general comments. I am learning plenty from members on here and want my project to help others, even if its learning to not do things i have done. Re: Newbie Rust Rescue. mk6 swb. Smil3r2012 wrote: Well thought I might share this. Story so far was that I had been on the hunt for a bigger van than my trusty connect. Needed 3 front seats so i could get the kids in. 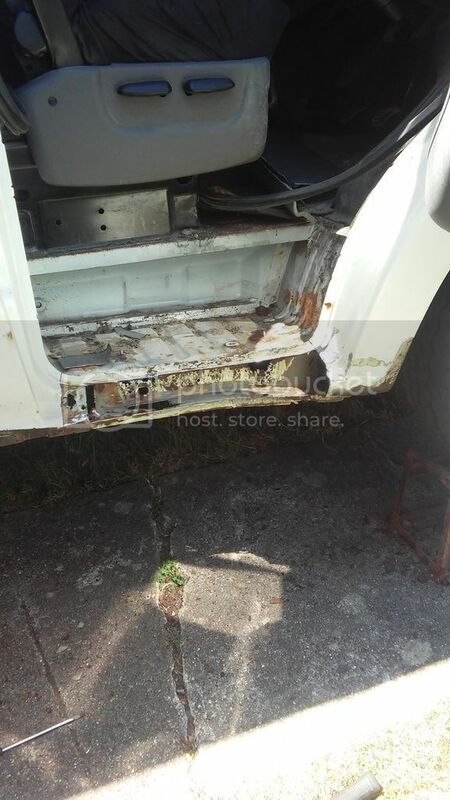 After a few weeks i found a slightly tatty 03 plate van with a few months mot. Happy days, my connect sold and i went about my business loving the transit-ness of life. It did eveything i wanted it to and was on the button. Fast forward a few months and I realized that i would need a few bits doing for the mot, nothing major, some tyres, a seat belt, anti roll bar bushes, front brake pads patch or two of welding etc. Well i got a bit more done today, still getting the hang of the welder. And welded and covered in red oxide to kep the rust away. I guess this is the best way of doing things? Ive now got round to fitting the outer sill and discovered that i am better at plug welding than seam welding. 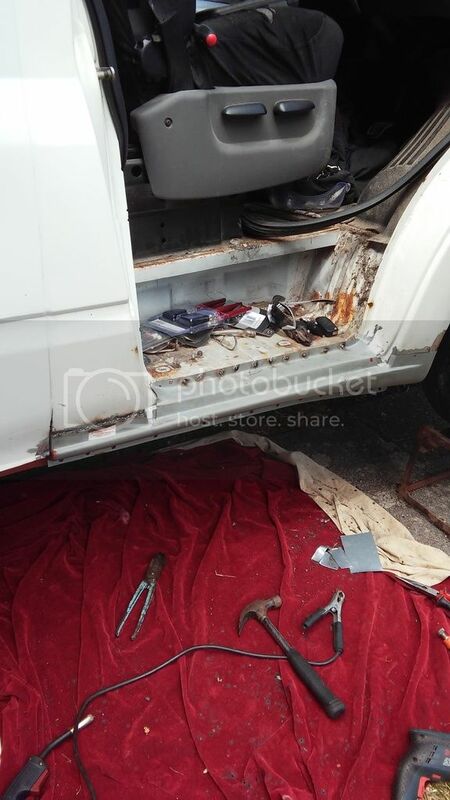 And then i fitted the outer sill to the rest of this side of the van.